Here are some blog posts about the 2017 retreats. Enjoy! The idea for this workshop came from my artist residency at Petrified Forest National Park in Arizona last November. During that month, I wove a 2 x 2 inch tapestry each day inspired by my time outdoors in the park. I found that I was able to let go of all my mental blocks about design and just create simple designs based on things I had seen that day. I completed 27 little tapestries in the same number of days. You can see some of them in the photos below and all of them on my blog HERE along with their inspiration. This method of designing was so successful for me that I wanted to share it with other people in a retreat setting. The high mountains of Colorado seemed like the perfect place to explore inspiration for tapestry weaving based in our environment, whether that is the built environment around us, sunsets, stars, creatures, our fellow participants, or the peaks surrounding the campus. In our time together, we will explore where to get design inspiration and then how to simplify that information, whether it is sketches, photographs, or just our memories, to create small woven images. The intention is to simplify and let go of all the rules we know about tapestry weaving and create something that speaks directly to our experience on that day. It is my hope that this kind of letting go experience can be carried home with you and inform your creating in other spaces and times. Some options for your weaving explorations are to do what I did at Petrified Forest and weave tiny things on a small loom such as a Hokett loom which is very quickly re-warped. Another option might be to bring a bit larger loom like a Mirrix and put on a long thin warp with the intention of weaving multiple small sketches on that warp. Or you might decide to gather inspiration and design one larger piece that you could start weaving at the retreat and finish at home, or perhaps could even finish while we are together. We'll talk about where inspiration comes from and how to take something interesting we see or experience with other senses and turn it into a design that can be executed in tapestry weaving. Because this retreat is so individual in terms of learning about design, it is open to all levels of experience with the exception of the point below. It will be an excellent retreat experience for advanced-beginner, intermediate, and advanced tapestry weavers. 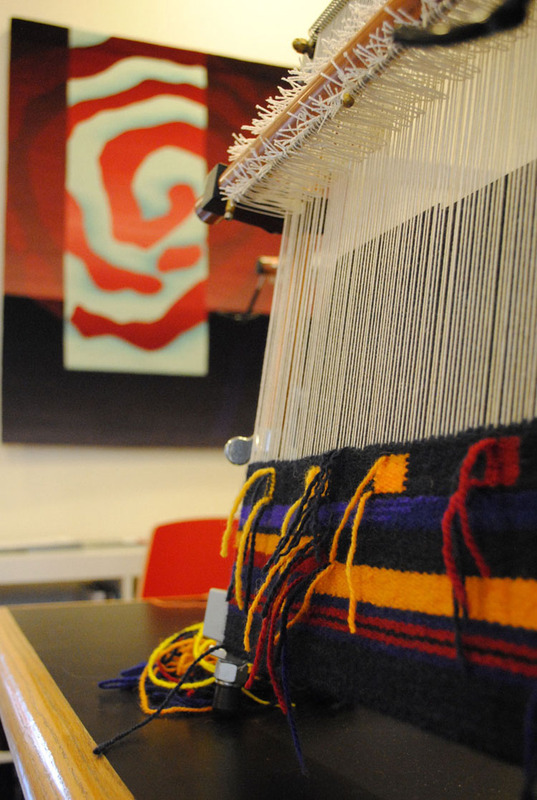 This retreat is open to people who feel that they are beginning tapestry weavers. But it is important that you have done at least some tapestry weaving before. If you've never warped a loom, this is not the place for you to learn the basics. You have time to learn some basic tapestry skills before the retreat begins and I might recommend my online class, Warp and Weft: Learning the Structure of Tapestry. You need to have experience with at least Parts 1 and 2 before you're ready for the retreat. Otherwise, study up and we'll see you next year! 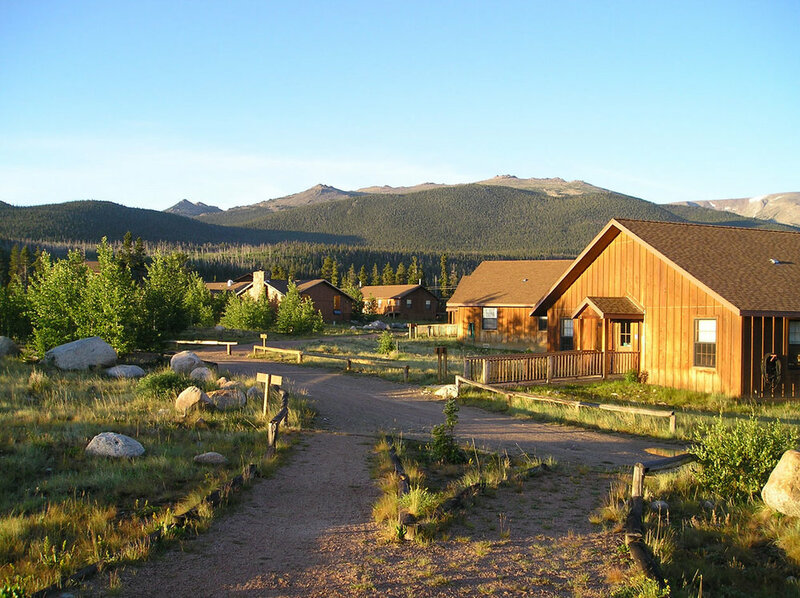 Colorado 2017 will be held at CSU's Mountain Campus at the end of Pingree Park road. This is a gorgeous setting surrounded by the Mummy Range and backing up to the north side of Rocky Mountain National Park. I guarantee you're going to enjoy the approach to this beautiful place. Enjoy your days working in the spacious classroom or the sunroom of your cabin or take a walk and do some weaving outside. I'll be doing a little lecturing each day as a means of providing inspiration and guidance for creating tapestry designs from our lived experience. You can spend all your time in the classroom weaving from your head or images that you bring, or you can follow me outside and watch what is around you. Take photographs, make a sketch, or just sit and watch. You'll learn to pick one thing that stood out for you and create a tapestry design from it. I'll encourage you to spend at least some of your time weaving as that activity further slows the brain and allows you to experience the inspirational moment again. We will discuss what forms are easily weaveable in tapestry, how to manipulate design ideas to make them more weaveable, and also learn to discard or drastically change images that perhaps are not the best for this medium. Housing is in multi-room cabins. Each room has a private bath and has two or three twin beds. There are no larger beds available. Each cabin has a sun porch. You can reserve a room privately or share with a friend or significant other. If your significant other would like to come with you to the campus but does not want to participate in the retreat, please check the box indicating this on the registration form. You will both be billed at the shared room rate but your S.O. will not be billed for the retreat. There are only a few spots for significant others, so make sure to indicate this preference at registration as they may not be able to be added later. Workshop instruction with me each morning, plus open studio with my assistance each afternoon. The studio will always be open and you can work as much or as little as you like. I will bring some Hokett looms that you can borrow. I don't have enough for everyone, so if you'd like to try one out or purchase one at a special retreat discount (I have a direct line to Jim Hokett himself), please let me know by June 30th. Handouts so you can remember what we talked about when you go home, some hand-dyed singles yarn you may work with, and a few extra treats. Meals will be provided for each of the four days of this retreat, Saturday evening through Wednesday noon. Meals will be taken in the campus dining hall. They can accommodate some food issues so please note any on the registration form. All linens, private bath with shower in each room. I will send all participants a detailed materials list a few months before the retreat. 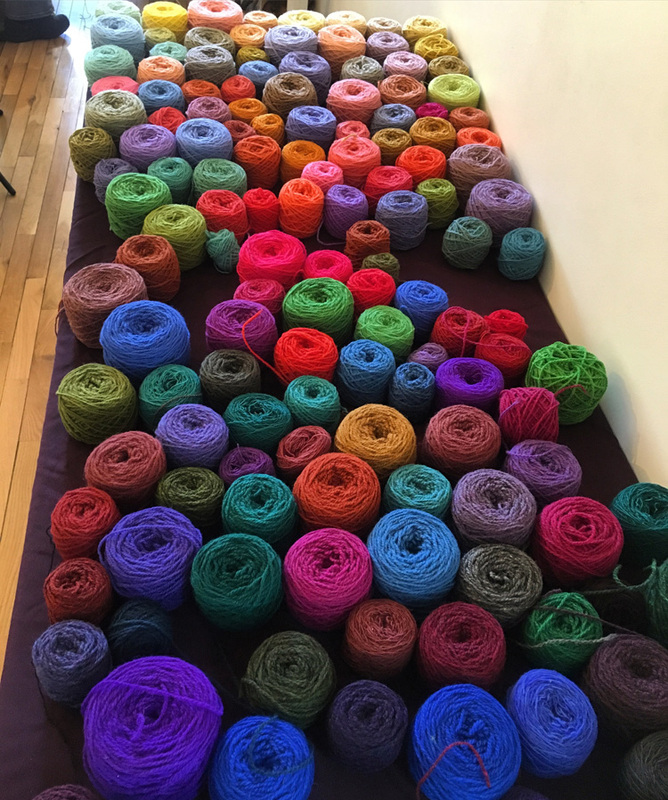 I will bring some hand-dyed singles yarn which you are welcome to use, but I will encourage you to work with whatever yarn you are accustomed to at the sett that you use the most. This class is about advancing your own personal knowledge and skill set. There is no cell service at CSU Mountain Campus or anywhere nearby. Believe me. None. There are several public phones that are available for your use and there is limited wifi access in the campus buildings. It should be enough to communicate with your loved ones that you are safe and enjoying yourselves mightily. This retreat is a great opportunity to unplug for a few days. portable tapestry loom. You can warp ahead of time if it makes you more comfortable or you can wait and see what inspiration brings and warp when you know what sett and size you want to use. I will have some warp available, but if you have a favorite warp, please bring some. I will have some small bundles of warp intended for use on Hokett looms. If you are someone one who likes to work with music, please bring headphones for your device. You may want something to sit on if you want to weave or draw outside. A portable folding chair or just a mat or blanket you can carry can help make working outside more comfortable. Bring clothing appropriate for August at high altitude in Colorado. Though the front range around Denver, Boulder, and Fort Collins can be quite warm this time of year, CSU's Mountain Campus is significantly higher in elevation and you should be prepared for some chilly mornings and evenings. It often rains in the afternoons in Colorado in August, so I recommend a rain jacket and even an umbrella. You will want sturdy shoes for walking on uneven ground as well as any hikes you want to take. Mud, rocks, and water all happen here. a small backpack or comfortable bag to carry drawing supplies, water, a camera and maybe a loom. If you want to do some hiking, make sure your gear is appropriate. Don't forget your trekking poles if you use them for balance (as I do!). The stars will be stunning. Don't forget to go outside at night to look at them. But you'll want a flashlight for getting around. Each room has a private bathroom with a shower. All beds are twin sized. We will be eating in the campus cafeteria. You can find out more about that HERE. There will undoubtedly be other groups on campus while we are there. We will be sharing that dining hall though our classroom will be just for us. A map of the campus can be seen HERE. Don't miss the amazing high-altitude skies after dark! Monday, Tuesday: these days, workshop time will be divided between using our environment for design ideas and working on those ideas in the classroom. Activities are somewhat subject to afternoon weather as it often rains in Colorado in the afternoons this time of year. Rebecca will be available for consultation and will be doing a couple easy guided hikes for people who feel up to it. She can make recommendations for people who want to take on a more strenuous challenge. 9-11 am Last minute weaving questions or follow-up. Pack and disperse as needed. You do not have to be a hiker to get a tremendous amount out of this retreat! The campus is in a high-mountain setting so the biggest concern is whether you can deal with the 9,000 foot elevation. If you live at and are coming from sea level, consider flying into Denver a couple days before to get used to some altitude before proceeding to the mountain campus, especially if you have experienced issues with altitude in the past. Denver is at approximately 5,000 feet elevation. Altitude sickness is no fun, so make sure to drink plenty of water in the weeks before you come out. Hiking is not required. Just the views from the campus are so incredible, you could find plenty of inspiration never setting a foot on one of the many hiking trails. The campus does not have paved trails and there are stairs, so if you require ADA accessible surfaces, this might not be the right place for your comfort. If you are a hiker, CSU's Pingree Park campus is one of the most gorgeous places in this part of the Rockies. 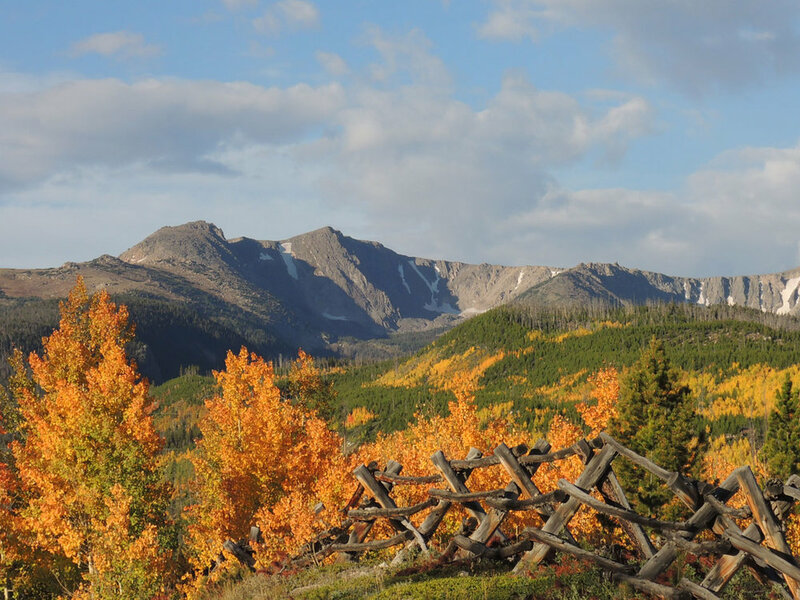 Hike high into the back side of Rocky Mountain National Park. 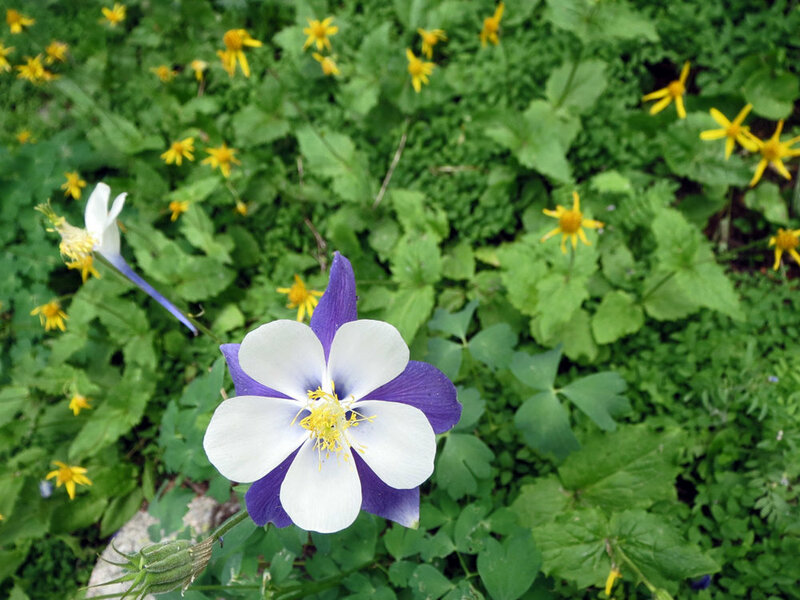 Stroll through high mountain meadows and above treeline if you're so inclined. Emmaline Lakes are a worthy goal, though I can tell you from personal experience, the last half mile includes a fair amount of scrambling over rocks! There are other much gentler trails nearby with rewarding views. The campus is at the end of Pingree Park road. This is a very wide, well-maintained gravel road that branches off Highway 14 in the Poudre Canyon. The campus is 50 miles west of Fort Collins, CO. This is mountain driving, but this road is exceptionally good. Any passenger car and a driver who is okay with moderate mountain driving will be just fine. It is also very possible we can carpool from DIA or Fort Collins to the campus. You'll come to a sign for the campus and you'll stay to the right (Pingree Park road continues to the left to some private homes beyond a usually-locked gate--if you come to a locked gate, you've gone just a little bit too far). The campus is approximately a 3.5 hour drive from Denver International Airport and about 1.5 hours from Fort Collins (longer if you're unused to roads that are not so straight, and they are not once you enter the Poudre River Canyon).